Warlike and aggressive, the neutrality of the Neutrals applied only to wars between the Huron and Iroquois. Otherwise, this confederacy was anything but peaceful. For the most part, the Huron considered the Neutrals as hostile (but not enemies), and relations between them were usually tense, even when they visited each other's villages for trade. Men filled most positions of leadership, but some Neutral villages were known to have been ruled by women. In most ways, the Neutrals closely resembled the Huron and Iroquois. Their villages of bark-covered longhouses were fortified and usually built in high, easily-defended locations. 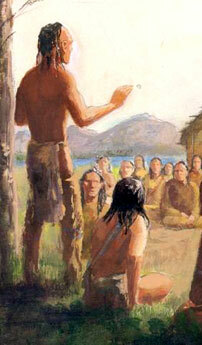 Diet depended mostly on agriculture (corn, beans, squash, sunflowers, and tobacco) supplemented by hunting and fishing. Meat and fish constituted a relatively small portion of their diet, and as much as eighty percent of their calories came from agriculture and the gathering of wild fruits and vegetables. The Iroquoian peoples of this region grew at least fifteen varieties of corn, sixty types of bean, and six kinds of squash. Ahiragenrega (or Ahondihronon), Andachkhrob (or Antouaronon), Aondironon (discounted? ), Atiaonrek, Atirhagenrata (or Atiraguenrek, Attiragenrega - discounted? ), Attiuoaisgon, Kakouagoga, Kandouche, Kehesetoa, Khioetoa, Niaggorega (or Niagagarega, Onguiaahra, or Onguiaronon), Ouaroronon, Ongniaahraronon (discounted? ), Ounonisaton (or Ounontisaston), Rhageratka, Skenchioe, and Teotoguiaton (or Teotongniaton). The history of the Neutrals can be found in a separate feature (see sidebar links).